Ok, fine, perhaps I should have titled this post “The Most Amazing Huevos Rancheros in Austin” since admittedly I didn’t eat ALL the huevos rancheros Texas has to offer, but still…I’m pretty sure this place is THE BEST. 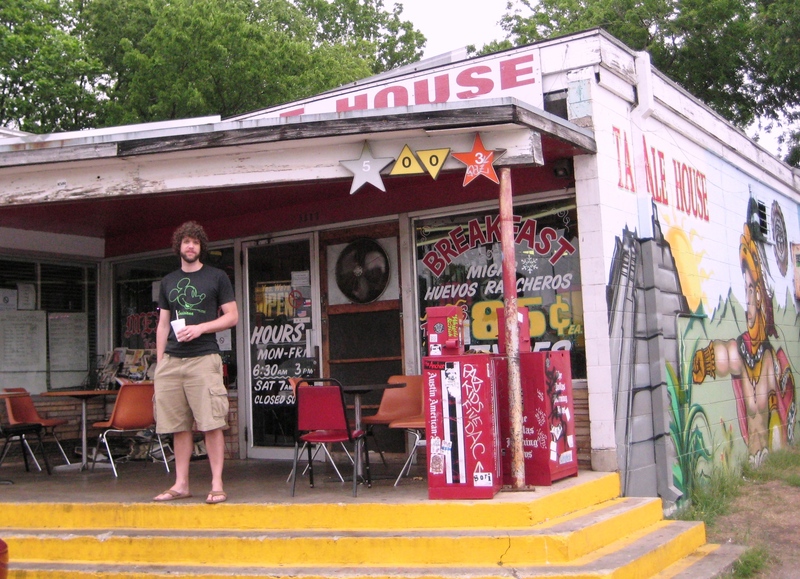 There are so many excellent restaurants in Austin, but when we asked my brother for a place we could get some good, cheap breakfast tacos, The Tamale House was the first on his list. It’s located just off I-35 in northern Austin, in an area that’s a bit run down. The building is small and has only a few tiny tables inside, and a few more tables outside. You place your order at the counter and the food is made right in front of you. What makes this family-run place so great? Did I mention everything had great flavor? 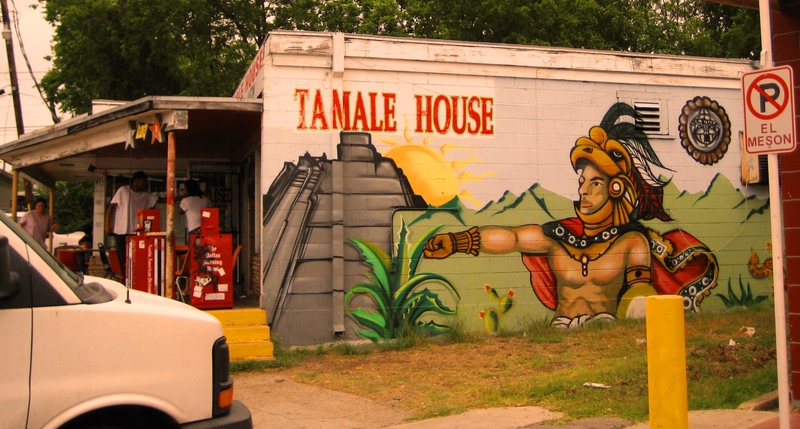 The Tamale House isn’t fancy, it isn’t trendy, it isn’t new, but it IS cheap and it’s good. Get the huevos (and a taco or two).